2nd I called them and they corrected my order for the package deal...impressive. Very friendly staff on the phone. 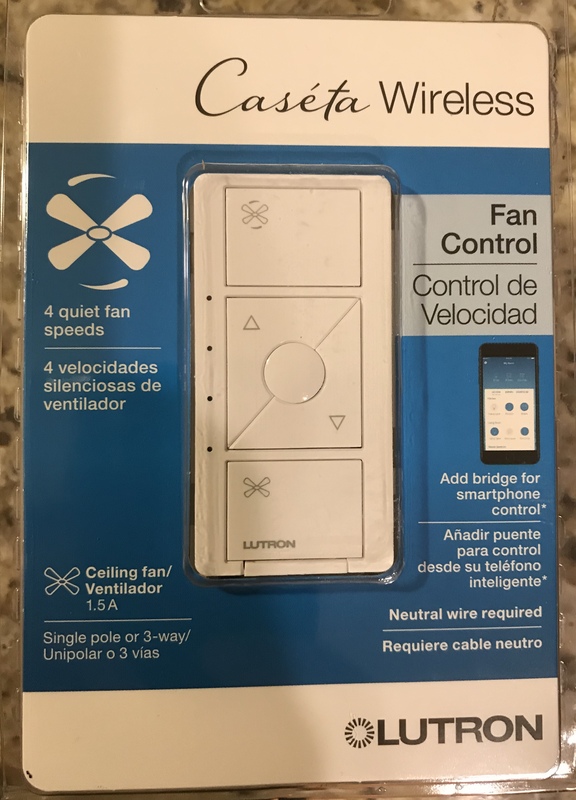 I have a few locations with no neutral...I've been toying with this Lutron idea for a while. Finishing up this bathroom and now I will have mismatched switches because I can't get Inovelli anymore (at least the style I have and the new one will be months) SOOO....that bathroom is getting the newer style dimmers PD-5NE-WH because I'm 100% sure wife is going to pick some weird bulb. There are 3 sconces each per vanity and the light bulbs are visible....I'm hedging my bets and making sure these dimmers can handle whatever bulb it is she will pick out. It's more like my whole foot at this point . . . 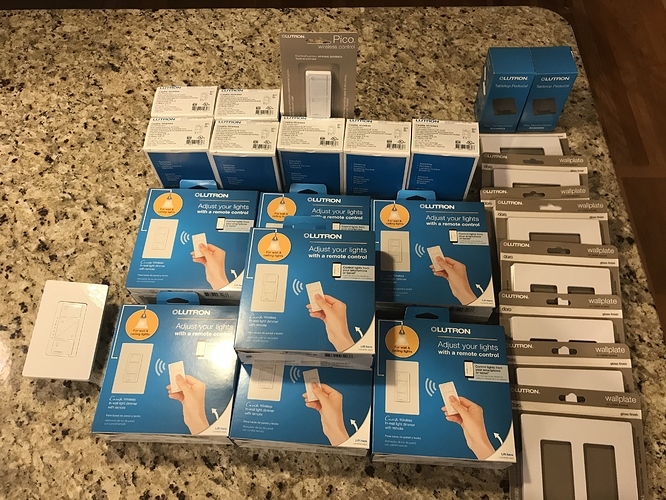 I was getting impatient for my first big order from Energy Avenue to arrive so I went up to my local Home Depot. They didn't have a huge selection but they had the kit with the dimmer, the Pico and the Claro wall plate for the dimmer. They also had the plain switch (6 amp variety) and a selection of Claro wall plates. I picked up a few items and asked the young man at the service desk if they would price match. I showed him my order from Energy Avenue and they matched the prices with no further questions asked. The HD receipt shows the amount they discounted and it looks like it was right about 10% for the items I bought. Side note - I am happy with the compact size of the Lutron dimmers and switches as well as their performance when installed in a metal box. Two of the switches I replaced today were in the only two rooms in the house that were never remodeled so they had the original 1950-something vintage small metal boxes. I forgot I even had any of those left in the house. I decided to go ahead and try the installation and, while it is tight, it all went in there just fine. They joined up with the Caseta (Pro) hub and they are working on Hubitat Elevation and Google Home. Now if the order from Energy Avenue would just get here . . . I just received an e-mail from UPS - the shipment from EA is scheduled for delivery tomorrow! 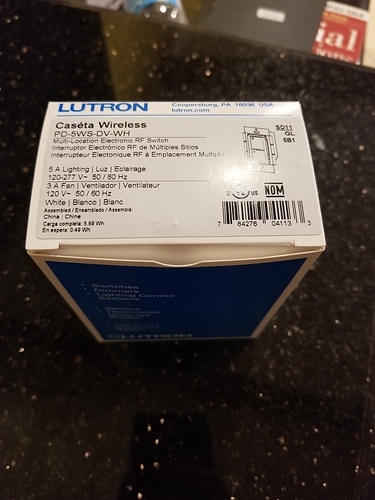 This order was drop-shipped from Lutron in Pennsylvania. 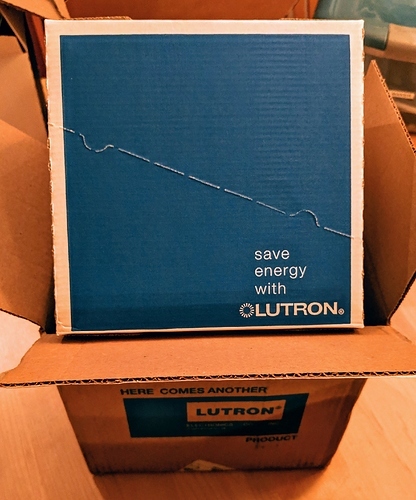 This is quite common when you purchase Lutron products. If you purchase through a Lutron dealer, this is always what happens. Argghhh!!!!!! You guys are forcing me to consider going out and getting yet another hub + assorted devices. Enough already!!!! 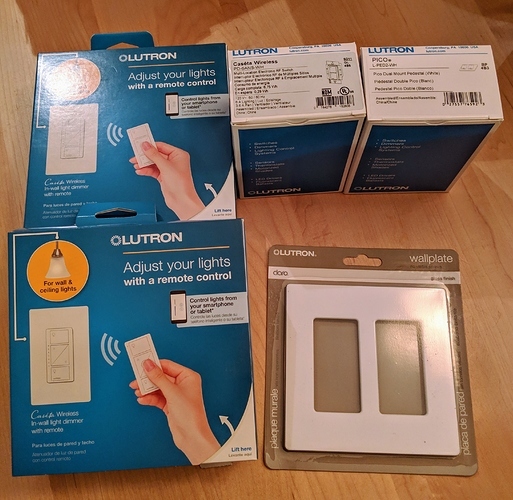 I fed my HA Addiction (the Lutron strain) a bit more today at the local Home Depot. I had a long conversation with a very nice lady at the service desk who basically told me they are not supposed to price match against non-retail outlets such as Energy Avenue. However, she said that once the store has price matched all you need to do is remind them of that the next time and they will match it. I had brought along my receipt from the last purchase at that HD and as soon as I showed it she said they would match it no more questions asked. Interesting, I haven't been questioned yet...done it 4-5 times. Each time they just go change the prices and I'm on my way. She didn't hassle me at all - she was very nice and was mostly trying to make sure I could "work the system" if I ran into someone at a HD store that didn't want to do it (in other words, someone who was attempting to follow the HD policy/rules). I mentioned to her that I participated in this forum and there were people from other parts of the country getting price matches at their HD stores . . . I just ordered a bunch of Lutron Caseta switches, dimmers, and Claro wall plates from Energy Avenue... Please don't tell my wife how much this stuff costs! I decided to finally get rid of my old GE Z-Wave switches and dimmers (non Plus versions) and embrace a better technology for lightning, IMHO. Oh, and apparently it's pronounced "ca-SAY-tah". I've been calling it "ca-SEE-tah". I guess that's what the little thing over the é is for. Got my Caseta order today from Energy Avenue... should be fun! I see your EnergyAve order and raise you my Bees Lighting order that came today. I know...not impressive but it's the switch that I didn't know existed till last week and it's exactly the one I need....non dimmer with no neutral required. I see you got some black pedestals. Did you get black picos too? If yes...what did they cost you? Yep, my wife and I each have a black 5 button pico on our nightstands to control bedroom and master bathroom lighting without disturbing each other's sleep. I bought the black picos from Energy Avenue for ~$16 a piece. Darn, the competition here is killing me! Noice..I have to start shopping there. I couldn't justify the $40 Amazon prices. Might be time to replace my non-smart occupancy Lutron switch in the kitchen. Two rooms done. 2 dimmers, 1 switch, and 1 Pico. I stopped by Home Depot on my way home tonight. This is getting a little addicting... I had to hunt in the “No Home” / “New Items” section.